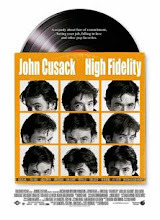 Ten years ago this week, on March 31, 2000, the wonderful film High Fidelity starring John Cusack and directed by Stephen Frears, was released in theatres across the nation. Anyone who has survived - or attempted to survive - a crumbling relationship can relate to this film, which relies heavily on its source material. Indeed, those familiar with the original 1995 book by Nick Hornby know that the adaptation was nearly flawless, with just a few changes to transplant the narrative from the U.K. to Chicago, Illinois. Cusack, essentially playing John Cusack, tortures himself by recounting the most excruciating break-ups of his life. In his confessions, he provides some surprising insight and a number of touching sentiments. Also interesting are Cusack/Hornby's observations as professional appreciaters - unpaid critics who cast their disdain upon those can't see what they see in music (as well as how music itself often fosters the misery of the broken-hearted). 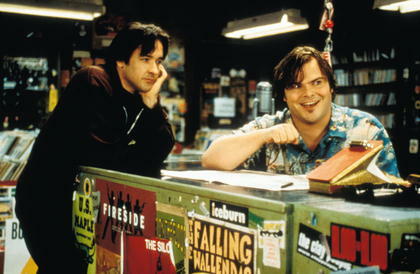 Jack Black - still early in his career - showcases his comic talents as Barry, the obnoxious record store clerk and frontman of the mighty band, Sonic Death Monkey. Popular music is almost a character in and of itself, as the characters are constantly referencing this album or that, and relating how particular songs and records affect their lives. 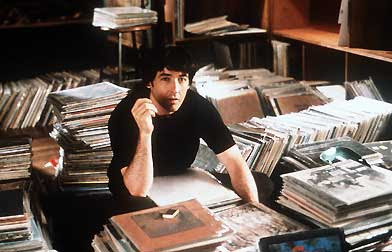 Though far less ambitious than my commemoration of the tenth anniversary of the film, Zero Effect (which was, of course, a lesser known film), I would like to use this series of posts to pause to reflect upon the music and narrative of High Fidelity. The film captures so much of what it means to be a fan of both music and melancholy. In so doing, it references some meaningful albums and songs, some of which are not as well known as they should be. This project is my attempt to remedy that in whatever small way I can via this medium. Thanks for posting this. 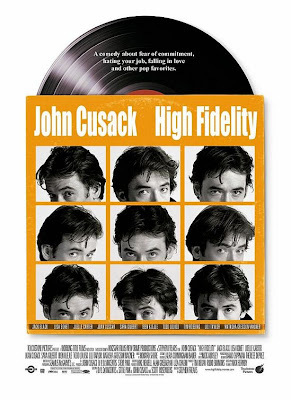 Along with Swingers (1996), High Fidelity is one of the two best guy movies of our generation.